/ Time and Language: Can You See the Future? Time and Language: Can You See the Future? We recently watched the 2016 movie Arrival, which critics are calling one of the best science fiction movies in decades. We enjoyed it as a film that tries to envision how our planet’s politics might play into first contact with alien visitors. We also liked how the movie focused on how language intersects with culture. As regional coordinators for EF High School Exchange Year, a high school student exchange program placing 2,500+ students in the U.S. every year, we work all year long with students from around the world who are trying to understand our culture and speak our language. We know that to understand one, you need to understand the other. We express our culture through language, and our language defines how we interact with our world. It’s hard to separate one from the other, or to determine “which came first?” Learning another language is not just about learning the words for “person,” “table,” and “animal.” Arrival shows us the truth of this statement. In the movie, linguist Louise Banks (played by Amy Adams) works to translate words and concepts so that humans and the aliens can talk to each other. As she struggles to learn the aliens’ language, she realizes that the key is that the aliens view time very differently than we do. This view of the universe winds its way throughout the aliens’ language. The way they express time enables them to see pieces of the future; as Louise learns the language, she learns the culture — and so sees her own future. Fantastical, beyond our reality, and make-believe — yes. It is, after all, a fictional story about meeting aliens from another world. But is it really so fantastical to think that people from different cultures will view abstract concepts such as time, place, and distance differently? In a way, Arrival describes the reality of language and culture on our own planet. It’s about viewing the entire universe the way the other person views it and realizing that this changes how you view your own universe. [F]or speakers of Aymara (spoken in Peru), looking ahead means looking at the past. The word for future (qhipuru) means “behind time” – so the spatial axis is reversed: the future is behind, the past is ahead. The logic in Aymara appears to be this: we can’t look into the future just like we can’t see behind us. The past is already known to us, we can see it just like anything else that appears in our field of vision, in front of us. 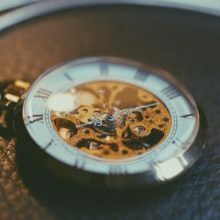 The study conducted by Athanasopoulos and colleagues implies that the language we speak will affect whether we believe that time is passing slower or faster. He submits that bilingual people “go between these different ways of estimating time effortlessly and unconsciously.” I find the idea fascinating — that one can go between such different world views just by speaking another language. He also argues that going back and forth between different languages regularly “confers advantages on the ability to learn and multitask, and even long term benefits for mental well-being.” I like that idea, but I’ll leave that for others to debate. What I want to leave readers with today is just this, whether you are the host family trying to understand the student in your home, the student trying to learn how to be part of a new environment, the teacher trying to help, or the parent back home watching your child from afar. If you really work at not just translating word by word but rather try to see the why and how of another language, you will come to view your own universe differently. That might be a bit unsettling … but it’s exciting, too. Moreover, seeing how the ‘other’ really thinks can only be positive in establishing friendships and long-term relationships. That seems like a good idea to me. What’s More Important, Our Differences or Our Similarities?